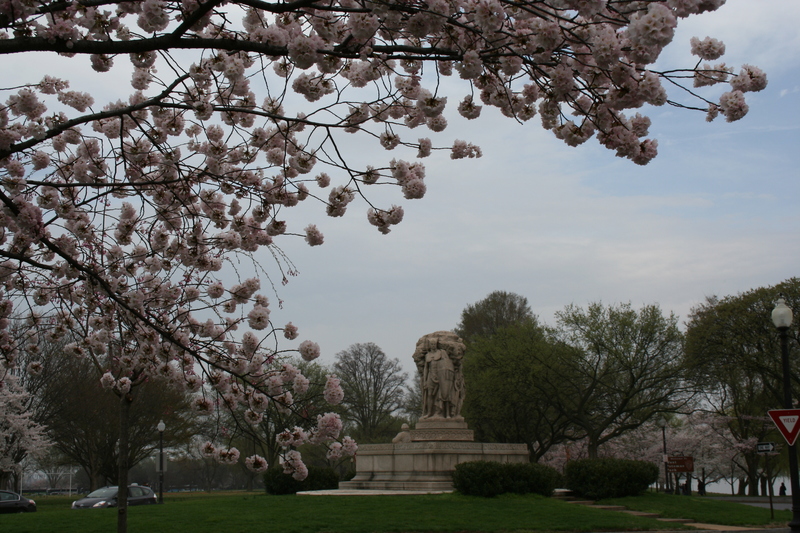 One year after the death of John Ericsson a bill requesting $30,000 for a memorial to him was proposed in the Senate and referred to the House Library Committee. Apparently it never made it out of committee because in 1912 another bill was proposed for a memorial, this time for $100,000. 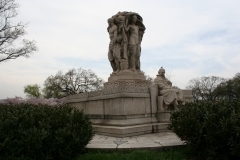 And again in December 1915, Senator O’Gorman of New York introduced a bill for funding a memorial. 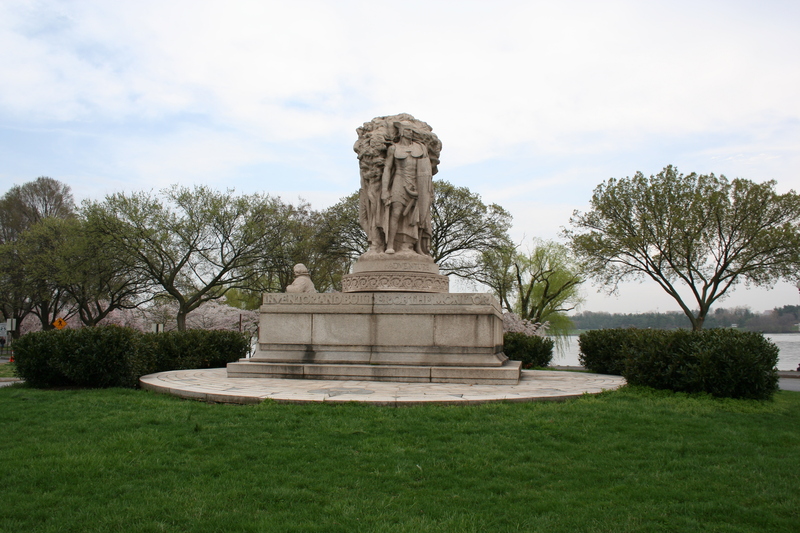 Then in July 1916 a bill requesting $35,000 for the memorial, was favorably reported out of the House Library Committee. 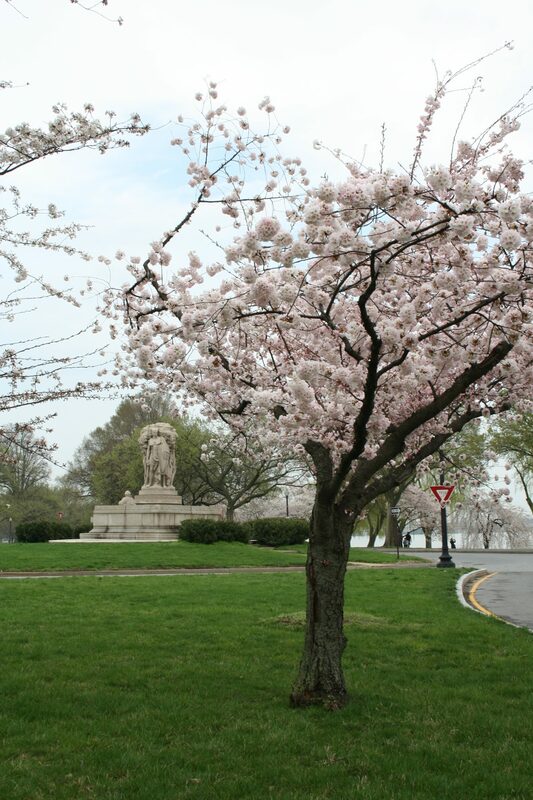 Captain John Ericsson was born in 1803 and died in New York City in 1889. He came to the United States in 1839, after spending some time in London, England, and was naturalized in 1848. During his lifetime he was well-known for engineering. However, he was most famous for building the Monitor – the first iron-clad warship commissioned by the U.S. Navy. He was buried in New York City, but soon after, and at the request of the Swedish government, his remains were sent to Sweden to be interred there. 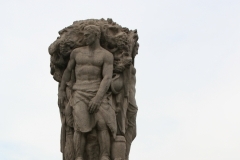 In May 1919, The Evening Star reported that the memorial to Ericsson was being created by David Edstrom, a Scandinavian sculptor living in the U.S., and was described as a modern “Run Sten,” which is a Scandinavian memorial stone that was raised over the dead. The 1919 plan was to incorporate eight scenes from Ericsson’s life divided into four periods, so that each period will show a relief on the front side of the monument and one on the back. The first relief was childhood, the second Ericsson as a soldier, the third as a master inventor and scientist in England, and the fourth period would be symbolized by the Monitor and the Merrimac in the morning before they battled. 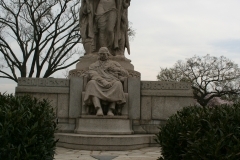 The monument would also include a bust of Ericsson. 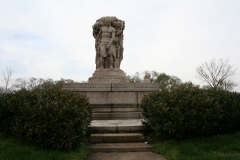 However, in June of 1920 it was reported in The Evening Star that not only had the location of the memorial to Ericsson moved to the south of the Lincoln Memorial, not the west, but that the artist creating the sculpture was James Earle Fraser. Rising from the middle of the base are three symbolic figures, and in the center of them is the Tree Yggdrsill. The three symbolic figures of Vision, Adventure and Labor are suggestive of the circle of thought and action that is required to create and invent, and are made a unit by the mutual relation to the Tree of Life. 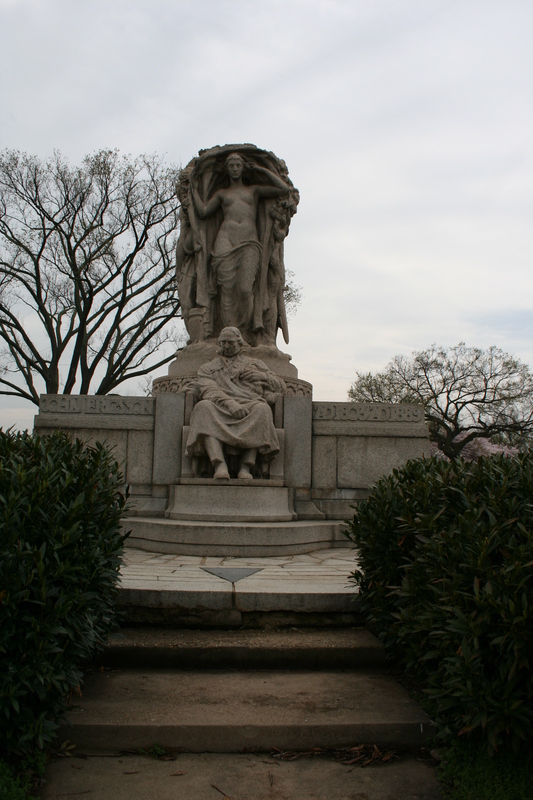 Behind Ericsson is Vision a symbolic figure of a woman embodying inspiration. Next is the figure is Adventure, a Norse hero, with a shield and sword, and a winged helmet. 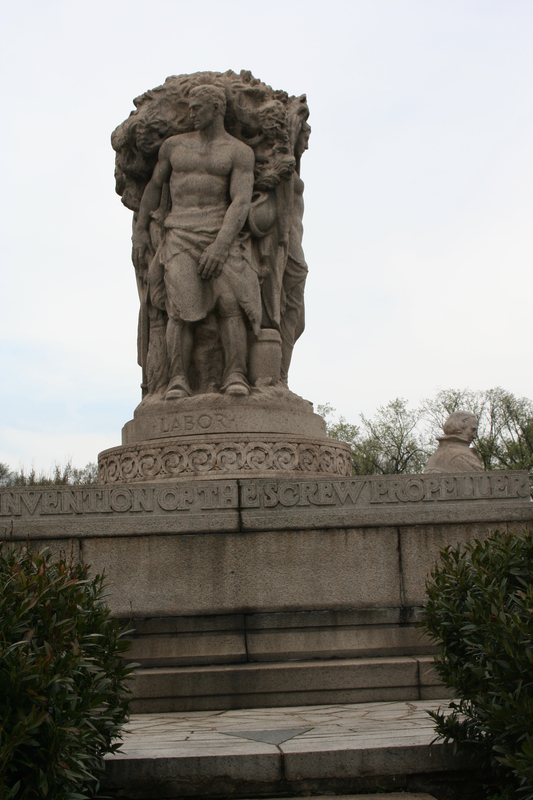 And then there is Labor pictured as an iron worker such as those who worked as a vulcan-artificer during the Civil War. The dedication took place on May 29, 1926, and was followed by a banquet held at the Willard Hotel. Secretary of Commerce Herbert Hoover addressed the crowd that was made up of members of the American Society of Swedish Engineers and members of Congress. 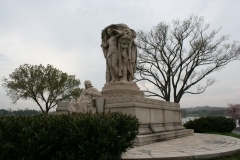 The memorial hadn’t been completed by the time of the ceremony and the unveiling revealed plaster casts that had been tinted pink to represent the pink granite that will compose the final product. The memorial had taken a while to pass through Congress, and almost as long to be completed. 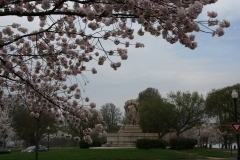 The first site chosen, just west of the Lincoln Memorial later became part of the Memorial Bridge and Rock Creek Bridge area. 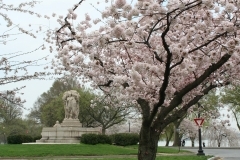 The final site was selected after the completion of the Memorial Bridge plans and was south of the Lincoln Memorial. During the American Civil War, Ericsson built the first iron-clad battleship named the Monitor. It was completed in 100 days, and was made with revolving turrets for guns. After the victory of the Monitor against the Merrimac (the Confederate iron-clad) other iron-clad ships similar to the Monitor were then built. In Charleston harbor six were built in 52 days. Although best remembered as the engineer of the iron-clad, Ericsson spent a lifetime studying engineering and inventing things. Among the other engineering items were an instrument for measuring distances at sea; the hydrostatic gauge for measuring the quantity of water which passes through pipes during a given period; the alarm barometer; the pirometer, intended as the standard measure of temperature from the freezing point of water to the melting point of iron; a rotary fluid measure to measure the volocity of fluids passing through pipes of different dimensions and a deep-sea lead, contrived for taking soundings at sea without stopping the vessel’s way and independent of the lead line. He also devoted his later years to “making direct use of the enormous dynamic force stored up in the sun’s rays. To make the enormous and as yet unused dynamic force of this radiant heat available for man’s use,” according to a report in The Evening Star.